Need water heater repairs in Midtown Atlanta? Here’s what you need to know. Water heater repairs in Midtown Atlanta… That’s is one of the most common calls we get. 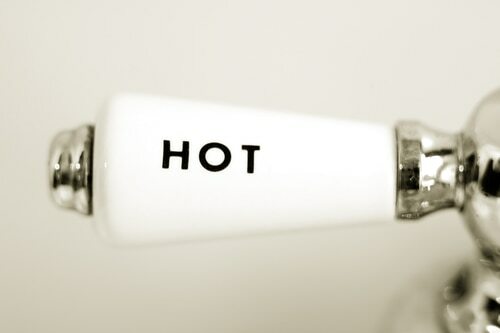 As water heaters get older and start to go bad, you may notice several issues start to happen. The water coming out of your taps might have a strange odor or color. These problems are often due to sediment building up in the bottom of the hot water tank. Another common problem with old water heaters is that energy usage will increase. As the heating element in the water heater goes bad, it will take more gas or electricity to keep the water hot. Maybe your hot water doesn’t feel very hot anymore. All these are cause for concern about the state of your water heater. The U.S. Department of Energy says even an efficient water heater accounts for 18% of an average home’s energy usage. That’s a lot of power to keep a tank of hot water hot. Imagine how much worse it can get when the water heater is 20 years old! Regular maintenance and inspections can extend the life of a water heater. But what can you do when your water heater is already old and starting to act up? If you’re like most folks, you’re always looking for ways to save a few bucks. However, a busted water heater is not the right opportunity to try your hand at DIY repairs. When electricity, gas, and water come into play, it’s always best to leave the work to the pros. There are too many ways to make things worse or even cause extensive damage to your house. Keep reading for our best advice regarding how to find great water heater repair services for Atlanta homeowners. If you’re lucky, you can find a simple solution to your water heater issue. For example, has your water heater stopped producing hot water? The first thing to do is find the appropriate switch in your breaker box and reset it. For a gas water heater, also check to make sure the pilot light hasn’t gone out. If these two tips don’t get you back into the hot shower game, it’s time to call the plumber. What if your water isn’t hot enough? Or it could be too hot. Your first step is to adjust the water heater’s thermostat. Look for the dial behind an access panel. Take a look, adjust the temperature up or down, and wait a little while to see if that fixes the problem. If not, call your plumber. Only a licensed plumber can tell you what’s really going on with your water heater. So when you sense that something is wrong, schedule an appointment with your trusted local plumber. Ask them to conduct a thorough inspection and recommend steps to get your water heater back in good condition. With any luck, one or two simple repairs will do the trick. Sometimes just flushing the tank out or replacing the thermostat is all it takes. Unfortunately, that is not always the case. The older your water heater is, the more likely you are to face serious repairs. Your water heater has many different components that can go bad over time. 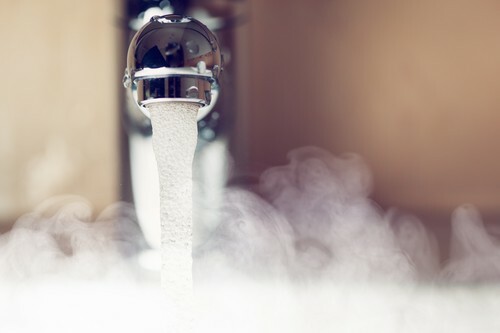 Hard water will age your hot water system even faster than normal. Mineral deposits will gunk up the tank and restrict water flow through your pipes as well. Lack of regular maintenance and inspections is also a strong indicator of a water heater failure. If your water heater is a decade old or more, you must face the fact that it will have to be replaced sooner than later. A few simple adjustments can go a long way toward extending your water heater’s useful years. Ask your plumber to wrap your water heater and pipes in plumbing insulation. This will keep heated water hot for longer and reduce your overall energy use through heat loss. Flushing the tank out regularly will keep your water pressure strong and eliminate odors and colors in your water. Another easy way to avoid water heater breakdowns is to stick to a yearly inspection schedule with your trusted plumber. This allows the plumber to identify and fix emerging issues before they evolve into full-blown emergencies. As an added benefit, many plumbers offer their maintenance program customers a discount on parts when repairs are required. This perk rewards responsible homeowners and helps defray the cost of keeping their water heater and other appliances in good order. When your water heater is dead and must be replaced, one of the smartest investments you can make is to replace your old water heater with a tankless model. The up-front cost will be substantial, but your utility bill reductions will pay for this investment within a couple of years. Tankless water heaters also last about twice as long as tank models. 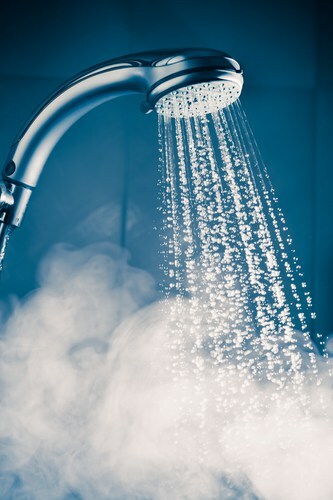 If you have a large family, they will never again run out of hot shower water with a tankless water heater. Another benefit to tankless water heaters is that when they fail, the damage to the home is minimal. The Insurance Information Institute lists water damage as the second most expensive and third most common homeowners insurance claim. Water damage is almost zero when a tankless water heater breaks down. On the other hand, an old model water heater tank failure can cause several thousands of dollars’ worth of flooding damage to a house. If you are not ready to invest in a tankless water heater, there are other great options out there. Heat pump water heaters are energy efficient and reliable. Simply replacing an old unit with a new, ultra-efficient tank water heater will save you a bundle on your energy bills. Any of these new options wastes far less power on routine heat loss, and that will make a huge difference when the monthly bills arrive. When it’s time to schedule a water heater repair for your Atlanta house, keep Morningside Plumbing in mind. We are proud of our 50-year track record of providing outstanding, dependable service to our Atlanta-area clients. You won’t find plumbers in Atlanta that are more committed to keeping their clients happy. The Morningside team works hard to solve our clients’ plumbing problems fast. We also understand that you have a budget to work with. Your plumber will explain all possible solutions for your water heater trouble, including the pros, cons, and prices. We also know that your family wants to get back to normal as quick as possible. Our plumbers work diligently to complete each job as quickly as possible, but we will not cut corners to save time or money. There’s no need to further delay your repairs. Your family doesn’t have to suffer through cold showers or spotty glasses any longer. Morningside Plumbing will answer your call any time, day or night. To schedule professional water heater repairs in Midtown Atlanta, connect with us online now or call 404-873-1881.